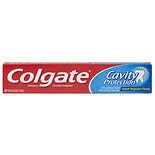 Shop Colgate Cavity Protection Toothpaste (4 oz. )4 oz. 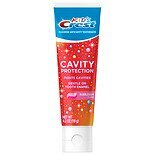 Shop Crest Kids Cavity Protection Toothpaste (4.2 oz. )4.2 oz. 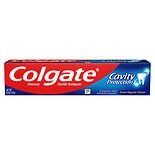 Shop Colgate Cavity Protection Toothpaste (8 oz. )8 oz. 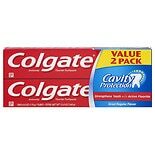 $279$2 and 79 cents$0.35 / oz. 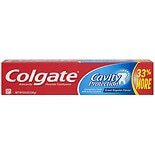 Shop Colgate Cavity Protection Toothpaste (6 oz. )6 oz. 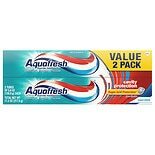 $229$2 and 29 cents$0.38 / oz. $499$4 and 99 cents$0.45 / oz. 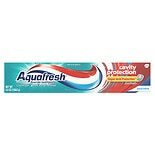 Shop Aquafresh Cavity Protection Fluoride Toothpaste Cool Mint (5.6 oz. )5.6 oz. $219$2 and 19 cents$0.39 / oz. 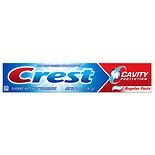 Shop Crest Cavity Protection Fluoride Anticavity Toothpaste Regular (6.4 oz. )6.4 oz.